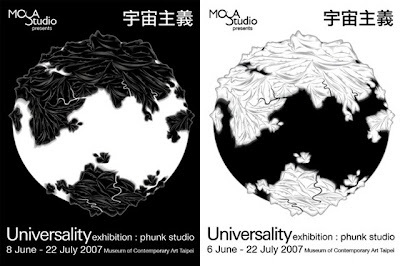 Singaporean creative collective, :phunk studio has been invited by the Museum of Contemporary Art, Taipei to show their works in a solo exhibition titled “Universality” at it’s MOCA Studio. The exhibition will showcase :phunk studio’s new art and design works based on the theme of “Universality”. :phunk studio will explore “the creation of universal values” through contextual experimentation with different art and design media and applications. Alvin Tan (b. 1974), Melvin Chee (b. 1974), Jackson Tan (b. 1974) and William Chan (b. 1973) came together in 1994 to form :phunk studio, a creative collective based in Singapore. 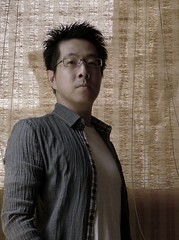 Described as "The Champion of Singapore's Graphic Scene" (Creative Review, UK), "Asia's hottest agency" (Computer Arts, UK) and "iconic representatives of the new wave of young Asian creators" (Get it Louder, China). :phunk is Asia’s leading art and design collective. They have propagated a visual signature that seamlessly blends and reinterprets their diverse influences such as traditional Chinese craft and folklore, Hong Kong pulp fiction, Japanese manga and otaku subculture, Western popular culture, art and design movements into a singular creative thought that reflects their multi-cultural identity, background and environment. The concept of "universality" in the age of modern globalisation is a constant theme in their works. “Universality” is a visual summary of Phunk Studio’s previous works. It sets the theme for the studio’s future artistic explorations. :phunk has transformed the gallery into a “place of worship”. :phunk studio will present it’s new 2007 collection of art works that includes silk screen canvas paintings, video art and sculptural installation.